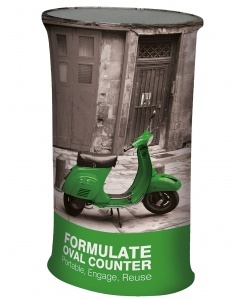 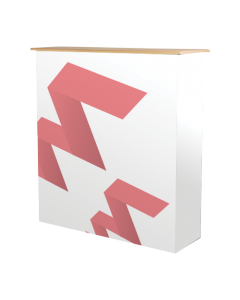 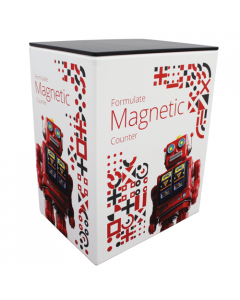 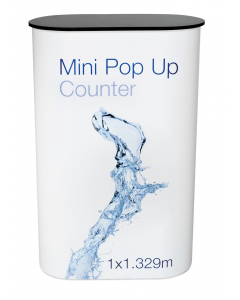 Our basic round display counter is a simple yet effective exhibition counter, ideal as a portable reception area or product display plinth. 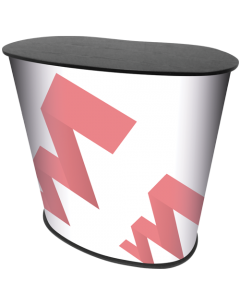 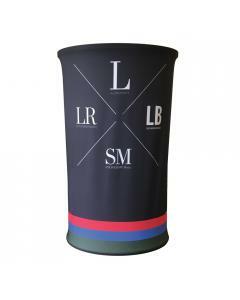 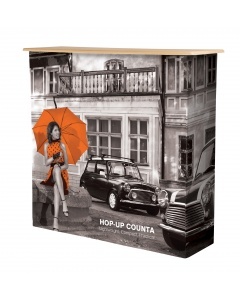 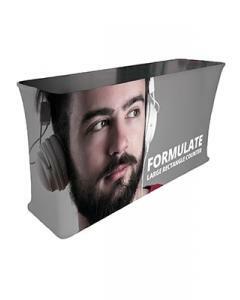 It is quick and easy to set-up and can be fully branded with an optional graphic wrap. 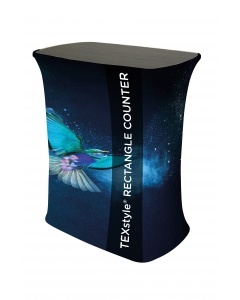 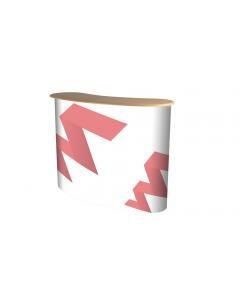 It is supplied in three parts, top, bottom and flexible wrap around composite centre structure. 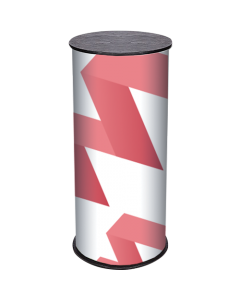 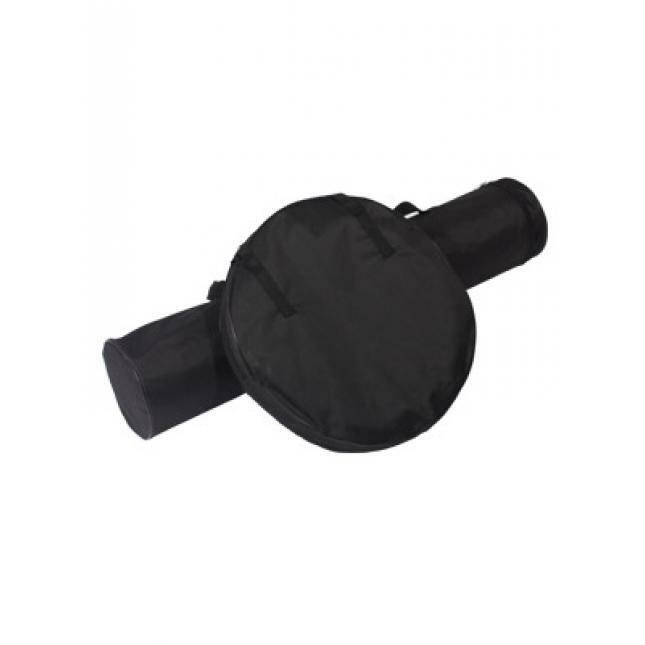 As standard this product is supplied with 2 carry bags and you can opt to have a printed graphic to wrap around the centre and secure in place with hook and loop. 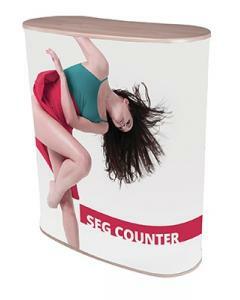 The basic round display counter comes with a choice of counter top, either black or beech finish. 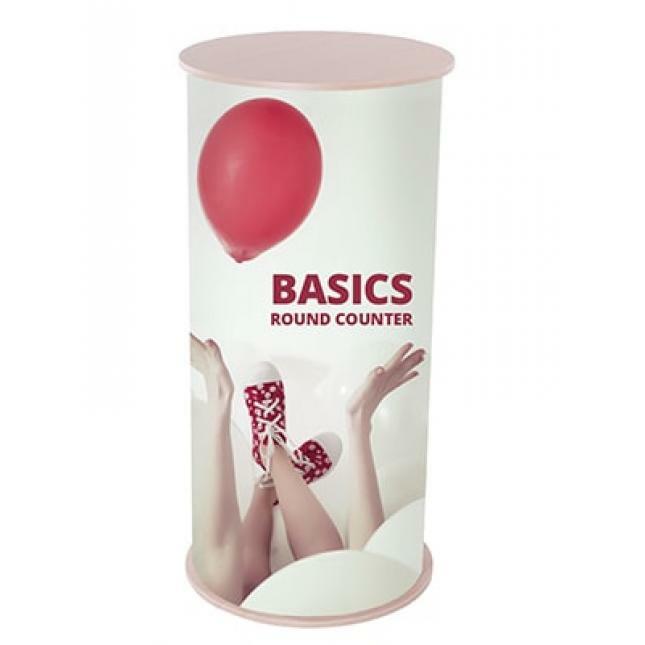 Why choose the Basic Round Display Counter? 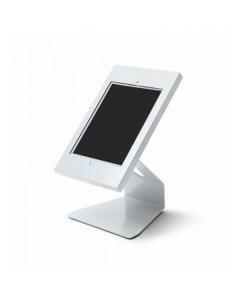 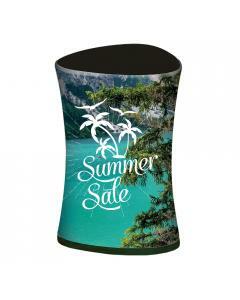 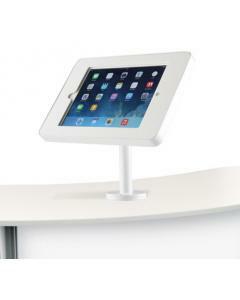 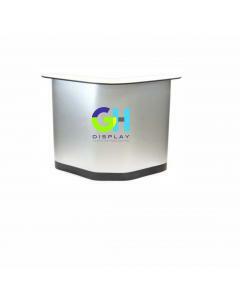 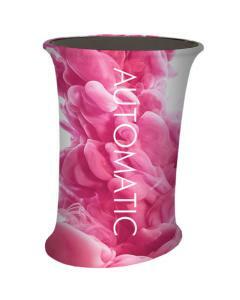 Graphic: Graphic is printed on rollable media and secures on the display counter using hook and loop. 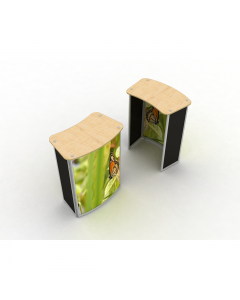 Warranty: Comes with a one year hardware warranty.